Sexting app SnapChat valued at $800 million after receiving $60 million of investment	YouTube’s finest Maid of Honor speech, apparently. First off. What is Vine? 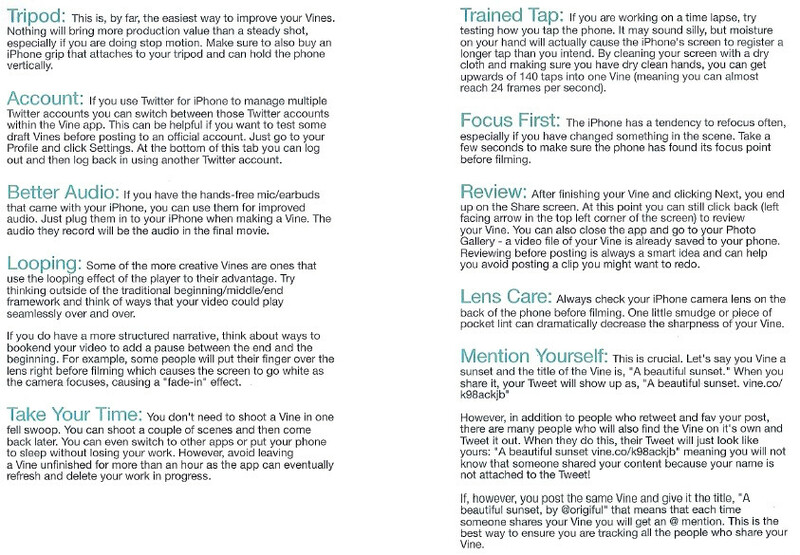 The other area of genuine innovation that Vine offers is in its recording technique. Rather than hitting a “record” button and snapping six seconds of video straight, the app asks you to touch the screen to record. We mentioned a while back about Hollywood using Vine as a way to promote movie trailers – The future of movie trailers has arrived, and it’s annoying – and it is fair to say we were not convinced. However now a bit of time has passed, were we too quick to judge? Check out more of his Vines here, see his tips here. The Best VINES of 2013 Compilation! (77 VINES!) Mm. “Best”? By the way the chicks are at the end. That’s right it is everybody’s favorite adult model Alison Tyler. There is a whole twitter account dedicated to “hot vines“, warning, it is almost certainly NSFW. Conclusion. Er. Not sure. Time will tell. Kinda fun, intuitive to use and when used well is actually pretty cool.